I am going to lead with both feet here…I am a survivor of suicide. By that I mean, someone very close to me, in fact several people I had the pleasure of knowing for only too short of a time, have committed suicide. On the surface, they seemed like normal, everyday people who had no ‘good’ reason to kill themselves and appeared to be very strong, capable people. You would never in a million years, have thought that they would commit suicide. But they did. I write this article during September, which is Suicide Prevention Month, in their honor and hope that someone reading this article may be able to step in and help prevent someone from committing suicide and maybe, just maybe, give someone hope in the face of the yawning blackness. If you don’t wish to talk to someone unknown, then please call a friend or family member to talk. Suicide is not an act of cowardice nor an act of selfishness. It is not directed at any individual or person in the life of the person who is contemplating or has committed suicide. It is not personal. It is an act of desperation borne out of hopelessness that someone feels is insurmountable. The best way I have seen and heard it put is that someone contemplating suicide is in a deep, tarry pit of blackness with no light. It is a fact that 90% of people who, at the time they commit or attempt to commit suicide have a diagnosable and TREATABLE mental health issues. Risk factors do not indicate that someone will commit suicide, just that their chances of committing suicide increase. Prevention and intervention become key. There are twice as many suicides in the US than homicides. For everyone person who completes suicide, approximately another 12 attempt suicide. WHO (World Health Organization) estimates that approximately 1 million people around the world commit suicide yearly. Many who attempt suicide never receive any help. Know the warning signs. The best way to prevent suicide is to recognize the warning signs and how to respond if you spot them. If you believe that a friend or family member is suicidal, you can play a role in suicide prevention by pointing out the alternatives, showing that you care and are there to listen to them without judgment, and getting a doctor or psychologist involved, if they are willing. In my own time of answering a hotline the biggest help I was able to give someone was just listening to them. Not providing answers unless directly asked nor arguing with them about how they felt. Learning how to listen without taking charge or downplaying someone’s feelings is essential in helping. Major warning signs for suicide include talking about killing or harming oneself, talking or writing a lot about death or dying, and seeking out things that could be used in a suicide attempt, such as weapons and drugs. These signals are even more dangerous if the person has a mood disorder such as depression or bipolar disorder, suffers from alcohol dependence, has previously attempted suicide, or has a family history of suicide. Take any suicidal talk or behavior seriously. It’s not just a warning sign that the person is thinking about suicide—it’s a cry for help. A more subtle but equally dangerous warning sign of suicide is hopelessness. Studies have found that hopelessness is a strong predictor of suicide. People who feel hopeless may talk about “unbearable” feelings, predict a bleak future, and state that they have nothing to look forward to. Other warning signs that point to a suicidal mind frame include dramatic mood swings or sudden personality changes, such as going from outgoing to withdrawn or well-behaved to rebellious. A suicidal person may also lose interest in day-to-day activities, neglect his or her appearance, and show big changes in eating or sleeping habits. Seeking out lethal means Seeking access to guns, pills, knives, or other objects that could be used in a suicide attempt. Preoccupation with death Unusual focus on death, dying, or violence. Writing poems or stories about death. No hope for the future Feelings of helplessness, hopelessness, and being trapped (“There’s no way out”). Belief that things will never get better or change. Self-loathing, self-hatred Feelings of worthlessness, guilt, shame, and self-hatred. Feeling like a burden (“Everyone would be better off without me”). Getting affairs in order Making out a will. Giving away prized possessions. Making arrangements for family members. Saying goodbye Unusual or unexpected visits or calls to family and friends. Saying goodbye to people as if they won’t be seen again. Withdrawing from others Withdrawing from friends and family. Increasing social isolation. Desire to be left alone. Sudden sense of calm A sudden sense of calm and happiness after being extremely depressed can mean that the person has made a decision to commit suicide. If you spot the warning signs of suicide in someone you care about, you may wonder if it’s a good idea to say anything. What if you’re wrong? What if the person gets angry? In such situations, it’s natural to feel uncomfortable or afraid. But anyone who talks about suicide or shows other warning signs needs immediate help—the sooner the better. Talking to a friend or family member about their suicidal thoughts and feelings can be extremely difficult for anyone. But if you’re unsure whether someone is suicidal, the best way to find out is to ask. You can’t make a person suicidal by showing that you care. In fact, giving a suicidal person the opportunity to express his or her feelings can provide relief from loneliness and pent-up negative feelings, and may prevent a suicide attempt. •	I have been feeling concerned about you lately. •	Recently, I have noticed some differences in you and wondered how you are doing. •	I wanted to check in with you because you haven’t seemed yourself lately. •	When did you begin feeling like this? •	Did something happen that made you start feeling this way? •	How can I best support you right now? •	Have you thought about getting help? •	You are not alone in this. I’m here for you. •	You may not believe it now, but the way you’re feeling will change. •	I may not be able to understand exactly how you feel, but I care about you and want to help. •	When you want to give up, tell yourself you will hold off for just one more day, hour, minute—whatever you can manage. •	Be yourself. Let the person know you care, that he/she is not alone. The right words are often unimportant. If you are concerned, your voice and manner will show it. •	Listen. Let the suicidal person unload despair, ventilate anger. No matter how negative the conversation seems, the fact that it exists is a positive sign. •	Be sympathetic, non-judgmental, patient, calm, accepting. Your friend or family member is doing the right thing by talking about his/her feelings. •	Offer hope. Reassure the person that help is available and that the suicidal feelings are temporary. Let the person know that his or her life is important to you. 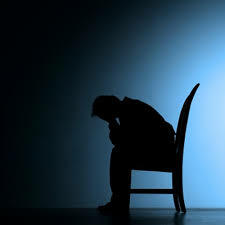 •	If the person says things like, “I’m so depressed, I can’t go on,” ask the question: “Are you having thoughts of suicide?” You are not putting ideas in their head, you are showing that you are concerned, that you take them seriously, and that it’s OK for them to share their pain with you. •	Act shocked, lecture on the value of life, or say that suicide is wrong. •	Promise confidentiality. Refuse to be sworn to secrecy. A life is at stake and you may need to speak to a mental health professional in order to keep the suicidal person safe. If you promise to keep your discussions secret, you may have to break your word. •	Do NOT Offer ways to fix their problems, or give advice, or make them feel like they have to justify their suicidal feelings. It is not about how bad the problem is, but how badly it’s hurting your friend or loved one. •	Blame yourself. You can’t “fix” someone’s depression. Your loved one’s happiness, or lack thereof, is not your responsibility. If a friend or family member tells you that he or she is thinking about death or suicide, it’s important to evaluate the immediate danger the person is in. Those at the highest risk for committing suicide in the near future have a specific suicide PLAN, the MEANS to carry out the plan, a TIME SET for doing it, and an INTENTION to do it. If a suicide attempt seems imminent, call 1-800-273-TALK(8255), dial 911, or take the person to an emergency room. Remove guns, drugs, knives, and other potentially lethal objects from the vicinity but do not, under any circumstances, leave a suicidal person alone. If a friend or family member is suicidal, the best way to help is by offering an empathetic, listening ear. Let your loved one know that he or she is not alone and that you care. Don’t take responsibility, however, for making your loved one well. You can offer support, but you can’t get better for a suicidal person. He or she has to make a personal commitment to recovery. It takes a lot of courage to help someone who is suicidal. Witnessing a loved one dealing with thoughts about ending his or her own life can stir up many difficult emotions. As you’re helping a suicidal person, don’t forget to take care of yourself. Find someone that you trust—a friend, family member, clergyman, or counselor—to talk to about your feelings and get support of your own. •	Get professional help. Do everything in your power to get a suicidal person the help he or she needs. Call a crisis line for advice and referrals. Encourage the person to see a mental health professional, help locate a treatment facility, or take them to a doctor’s appointment. •	Follow-up on treatment. If the doctor prescribes medication, make sure your friend or loved one takes it as directed. Be aware of possible side effects and be sure to notify the physician if the person seems to be getting worse. It often takes time and persistence to find the medication or therapy that’s right for a particular person. •	Be proactive. Those contemplating suicide often don’t believe they can be helped, so you may have to be more proactive at offering assistance. Saying, “Call me if you need anything” is too vague. Don’t wait for the person to call you or even to return your calls. Drop by, call again, invite the person out. •	Encourage positive lifestyle changes, such as a healthy diet, plenty of sleep, and getting out in the sun or into nature for at least 30 minutes each day. Exercise is also extremely important as it releases endorphins, relieves stress, and promotes emotional well-being. •	Make a safety plan. Help the person develop a set of steps he or she promises to follow during a suicidal crisis. It should identify any triggers that may lead to a suicidal crisis, such as an anniversary of a loss, alcohol, or stress from relationships. Also include contact numbers for the person’s doctor or therapist, as well as friends and family members who will help in an emergency. •	Remove potential means of suicide, such as pills, knives, razors, or firearms. If the person is likely to take an overdose, keep medications locked away or give out only as the person needs them. •	Continue your support over the long haul. Even after the immediate suicidal crisis has passed, stay in touch with the person, periodically checking in or dropping by. Your support is vital to ensure your friend or loved one remains on the recovery track. I will also add this: do NOT be afraid to advocate for them with the mental health system. In many states it can take a lot to make sure someone with a mental health issue gets the care that they need. But you can do it and so can they! As a final note: PTSD is becoming increasing a high risk factor in terms of suicide. The very nature of PTSD and the way it is conceived makes it difficult for those suffering with PTSD to reach out and get the help they need. And many people suffering from PTSD are our returning Veterans. It is believed that approximately every 65 minutes one of our returning Veterans commits suicide. If you are a veteran, a family member or a friend of Veteran, please let them know you are there for them and will help them. When you dial 1-800-273-TALK (8255), you are calling the crisis center in the Lifeline network closest to your location. After you call, you will hear a message saying you have reached the National Suicide Prevention Lifeline. You will hear hold music while your call is being routed. You will be helped by a skilled, trained crisis worker who will listen to your problems and will tell you about mental health services in your area. Your call is confidential and free. The Vet2Vet Talk Line (1-855-838-7481) provides 24/7 confidential peer support, information and referrals for all of America’s Veterans and their families. Every call is answered by a Veteran who understands the rewards and challenges of military service and is trained to provide compassionate and caring peer support along with access to a wide array of services across the nation. Need help finding a qualified therapist in your area? The link above will take you directly to a ‘find a therapist’ page. The therapists listed here all specialize in anxiety/depressive disorders. No one willingly wants to die…it is not human nature…human nature is about survival and sometimes we need help. Don’t be alone or afraid anymore.